Where are we in the Broadband Process? At this time, the City has solicited and received a number of proposals to perform a feasibility study. This study will analyze the Golden environment and make recommendations on things such as business/cost model, technical specifications, funding sources and partner strategy. The selection committee has been assembled and we will work to have finalists selected in July. Scheduling for onsite discussions and presentations will then be made so that the project can be awarded, provided one of the submissions meets all of the City’s criteria. The City of Golden conducted an initial Survey of Broadband Services in the City with both a residential and a business survey. This survey was prepared by the City of Golden Broadband Task Force. The Broadband Task Force was formed shortly after the passage of the ballot initiative exempting the City from the constraints of Senate Bill 152. The Task Force consists of citizens of Golden with a range of technical and professional backgrounds. Based on feedback from several residents and businesses, the City of Golden is looking into the potential deployment of gigabit broadband throughout the community. The City believes that affordable high quality broadband is a critical service for quality of life in Golden, as is the case with roads, water, sewer, and electricity. 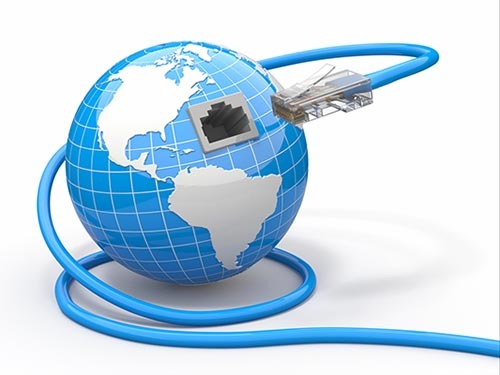 Broadband or high-speed Internet access allows users to access the Internet and Internet-related services at significantly higher speeds than those available through “dialup” services. Broadband speeds vary significantly depending on the technology and level of service ordered. Broadband services for residential consumers typically provide faster downstream speeds (from the Internet to your computer) than upstream speeds (from your computer to the Internet). The first step in the deployment of gigabit broadband in the City of Golden was a vote by residents in November 2016, which passed and authorized the City to proceed to the evaluation stage. City staff has been working with a taskforce of experts from the community to complete a feasibility analysis. If City Council finds the results of the feasibility analysis favorable, then the City will begin the work needed to deploy this service throughout the city. The total project will likely take years not months, but the result will mean that the City of Golden adds its name to a small but growing list of gigabit communities throughout the country. We have provided a list of answers to a few of the commonly asked questions below, however if you have a question that is not addressed below please feel free to contact staff at jmccoy@cityofgolden.net. Why does the City need to have an election to do this? In 2005, the Colorado General Assembly enacted Senate Bill 05-152 (SB 152), which prohibits local governments such as the City of Golden from providing cable television services, telecommunication services, or high speed internet services (advanced services), either directly or indirectly, unless such services are authorized by the electorate. Senate Bill 152 has been interpreted by some as prohibiting local governments from providing a wide spectrum of services, including such things as internet service in city libraries, parks and community centers; leveraging government infrastructure and partnering with private businesses to provide affordable and high speed internet services throughout the community; and direct provision of broadband services by municipal government where needed. A voter approved exemption from SB 152 would restore local independence and the ability to evaluate all possibilities for next generation broadband services in the City of Golden. The City is in the process of determining the feasibility of offering broadband services. A RFP for a study to identify service delivery options and financial models will be distributed early in the second quarter of 2018. The results of this study will guide further decisions around the City’s broadband strategy. What is broadband, or gigabit broadband? Broadband is a term used to describe all forms of “high-speed” internet, however all that really means is internet speeds faster than the old “dialup” internet that we had in the 90’s. Today people’s expectation are higher and many communities are looking to the future of internet, gigabit broadband. The term gigabit broadband is more concrete and refers to a minimum internet speed of 1 Gbps (Gigabit per second) or 1,000 Mbps (Megabits per second). The average internet speed in Colorado is currently slightly over 7 Mbps. That means if you had gigabit internet at your house you could see internet speeds 142 times fast. If you happen to have the fastest speeds advertised in Golden currently (50 Mbps), you would still see speeds 20 times fast. Have other cities in Colorado deployed gigabit broadband? The City of Longmont offers its residents and businesses gigabit broadband for approximately $50 a month. In a recent national survey, the City of Longmont was recognized for having the 3rd fastest internet in the United States. Can I stay with my current internet service provider if Golden offers gigabit broadband? Yes. Should the City begin offering gigabit broadband, residents will continue to have the choice of who they want as their internet service provider. In other communities that have deployed municipal broadband, the increased competition has resulted in lower rate offerings among all providers, including the existing privet for-profit providers.